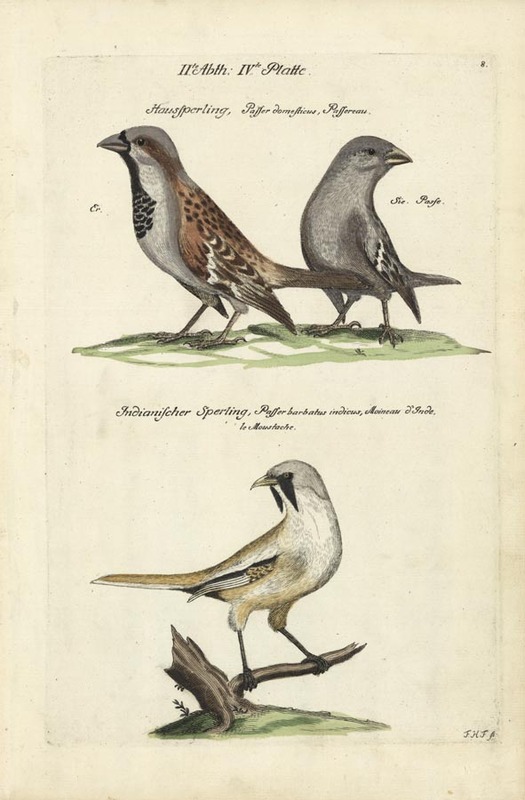 Johann Leonhard Frisch is said to have been a theologian, naturalist, and philologist. 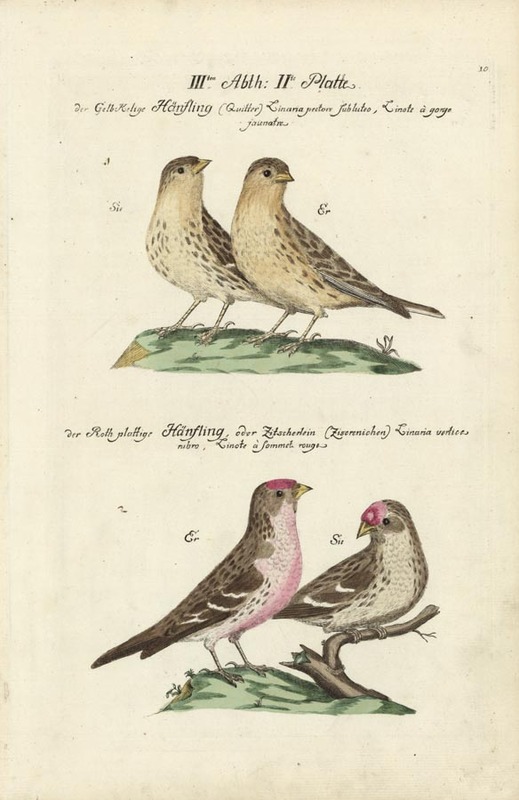 VORSTELLUNG DER VOGEL IN TEUTSCHLAND UND BEYLAUFFIG AUCH EINIGER FREMDEN, MIT IHREN EIGENSCHAFTEN BESCHRIEBEN ..UND NACH IHREN NATURLICHEN FARBEN. 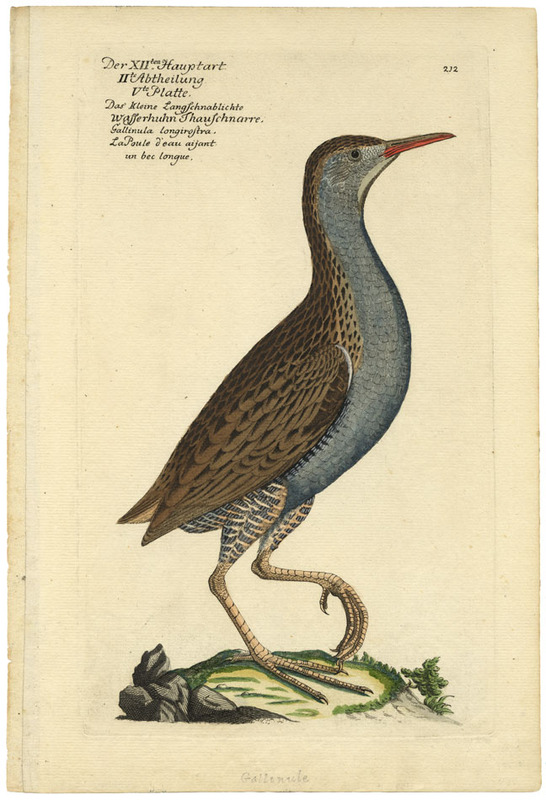 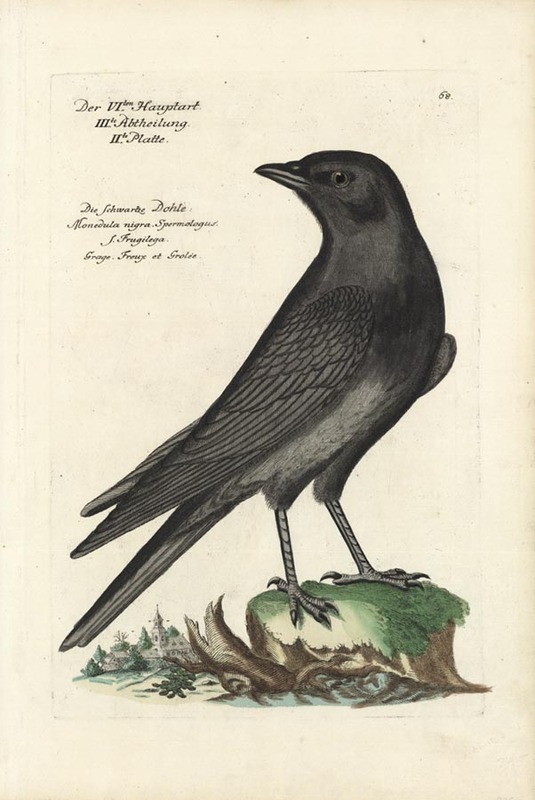 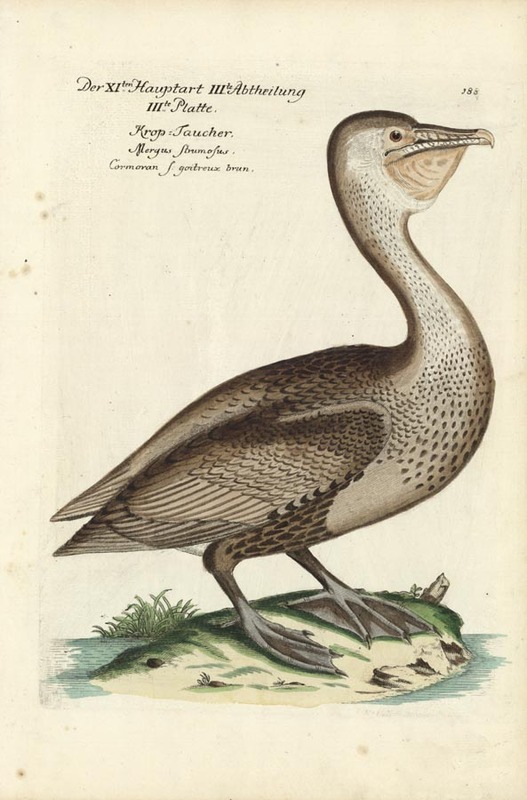 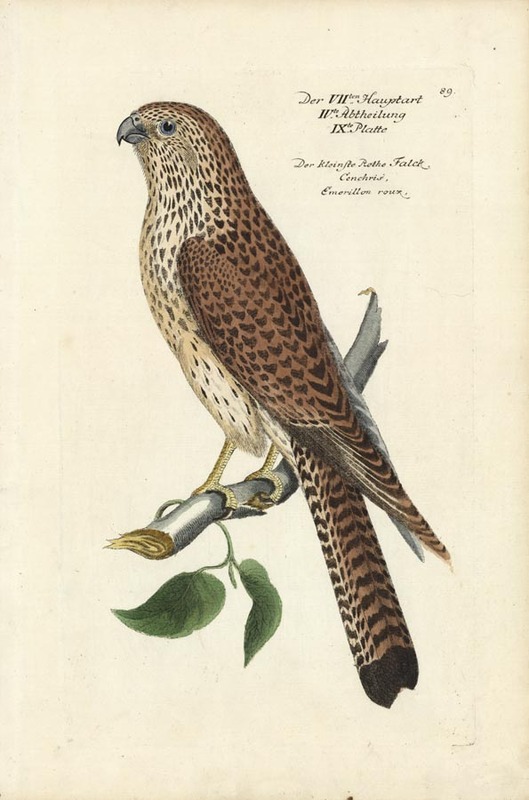 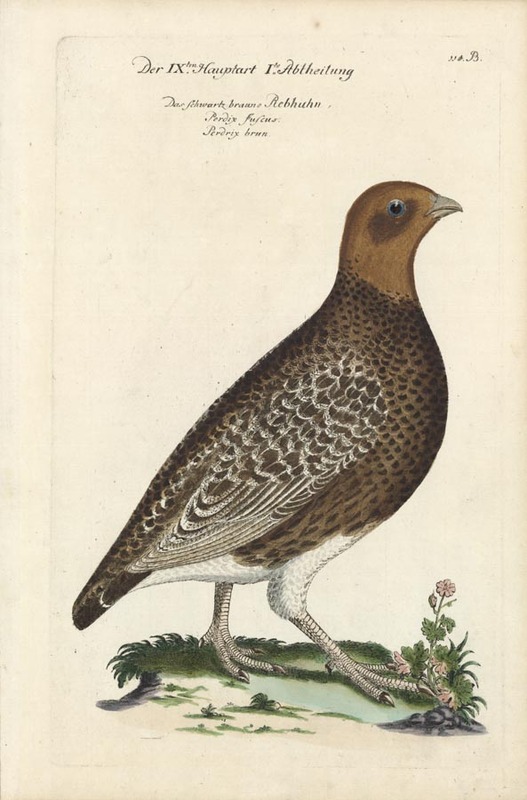 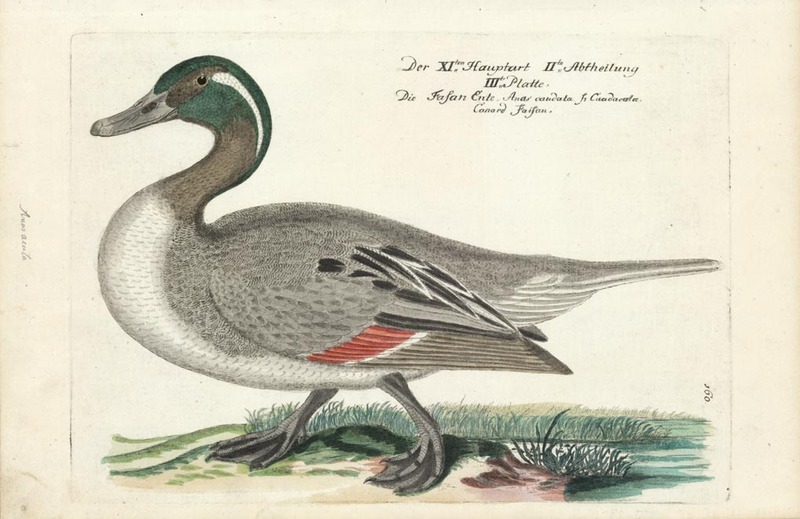 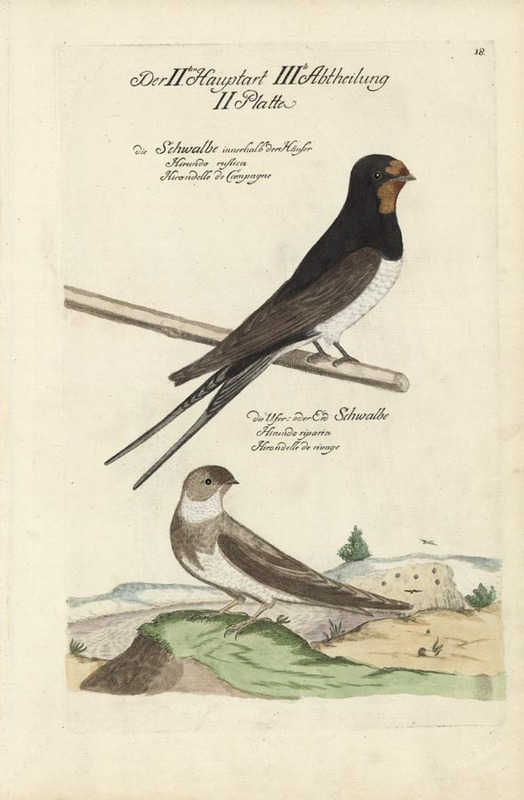 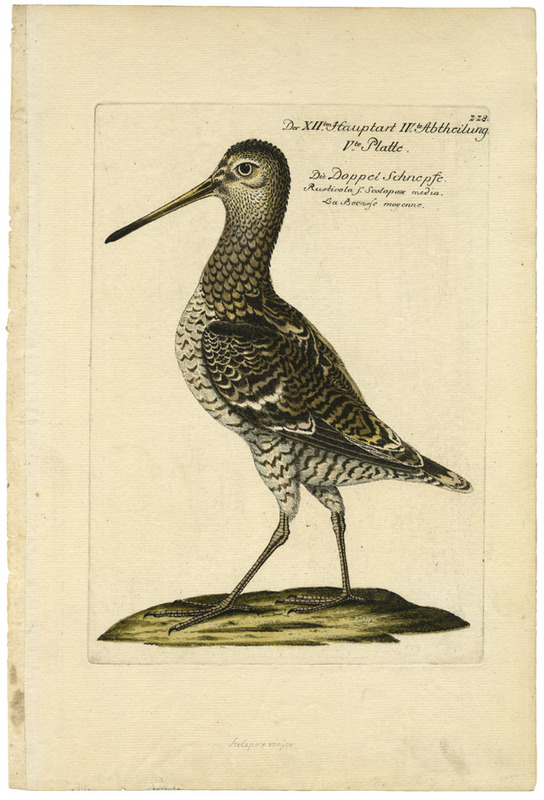 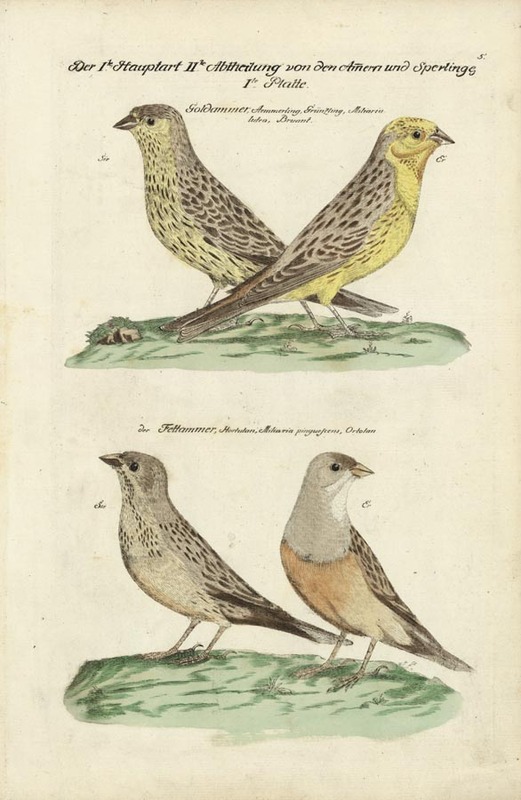 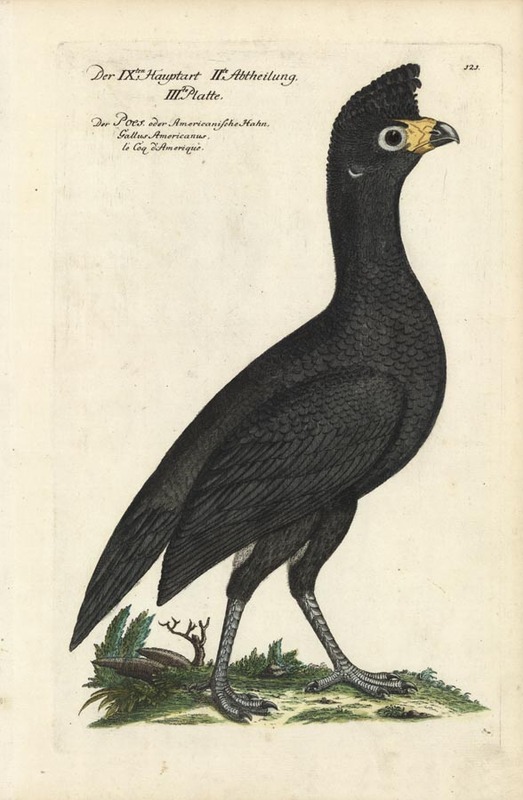 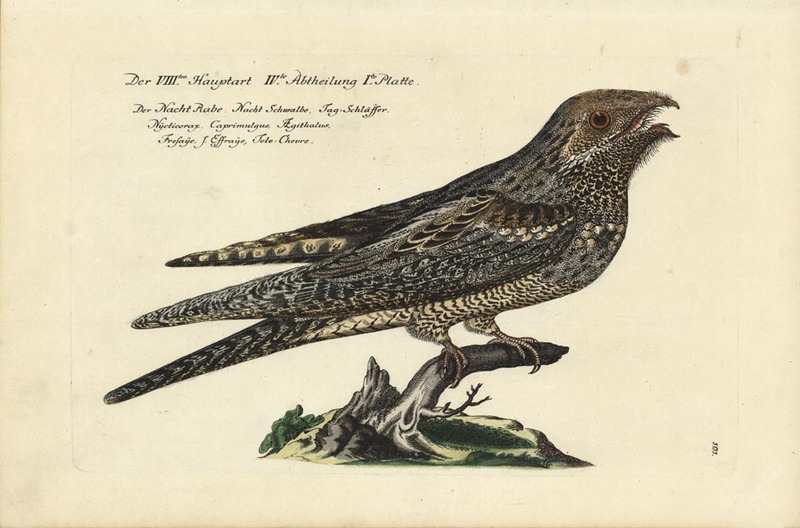 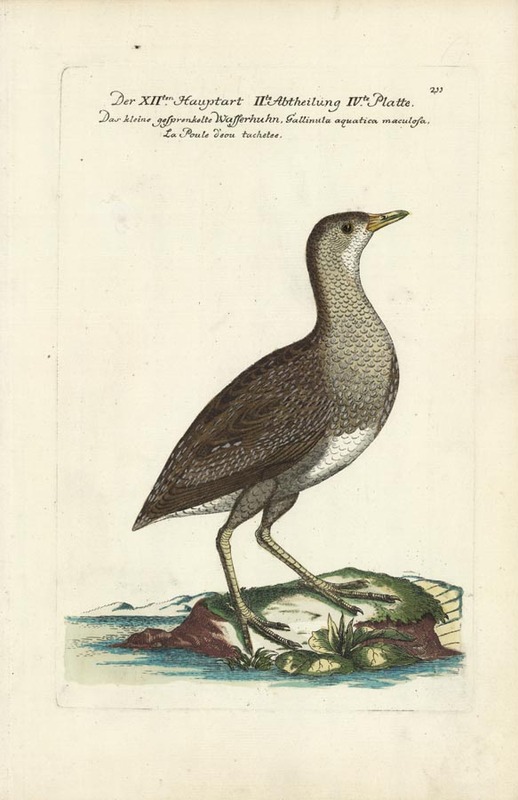 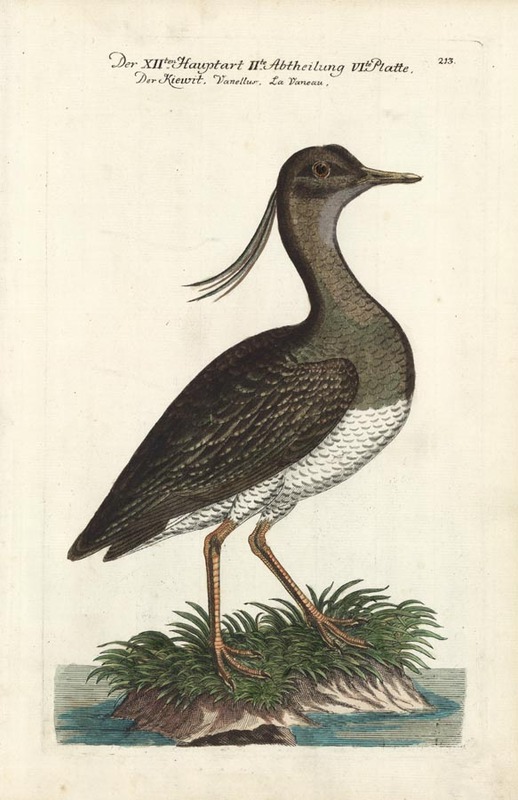 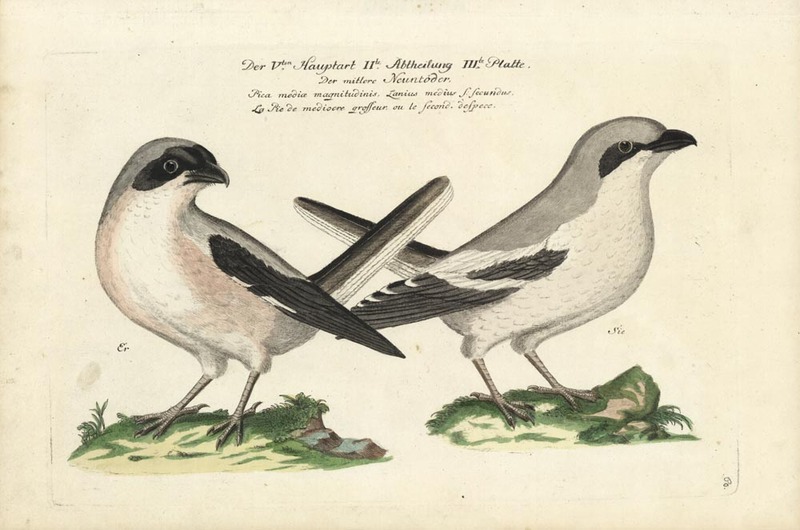 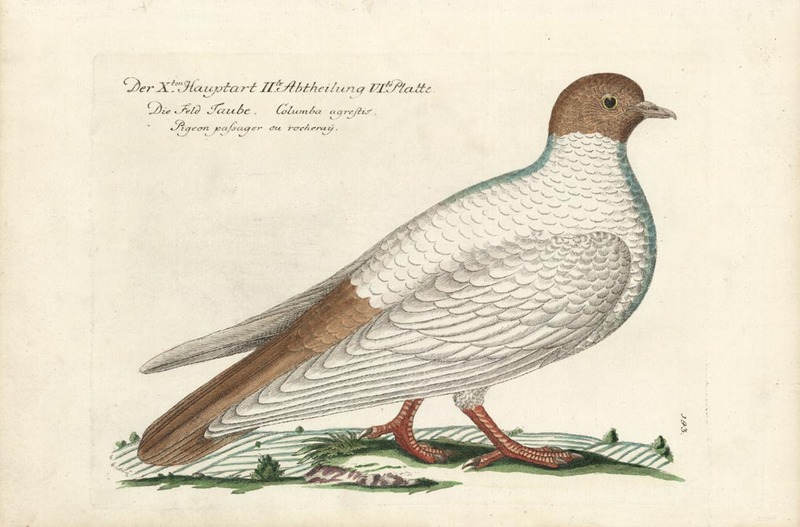 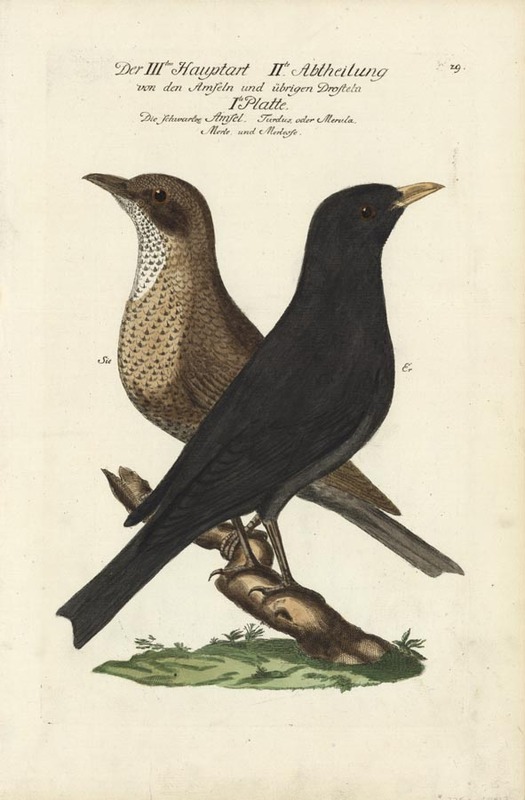 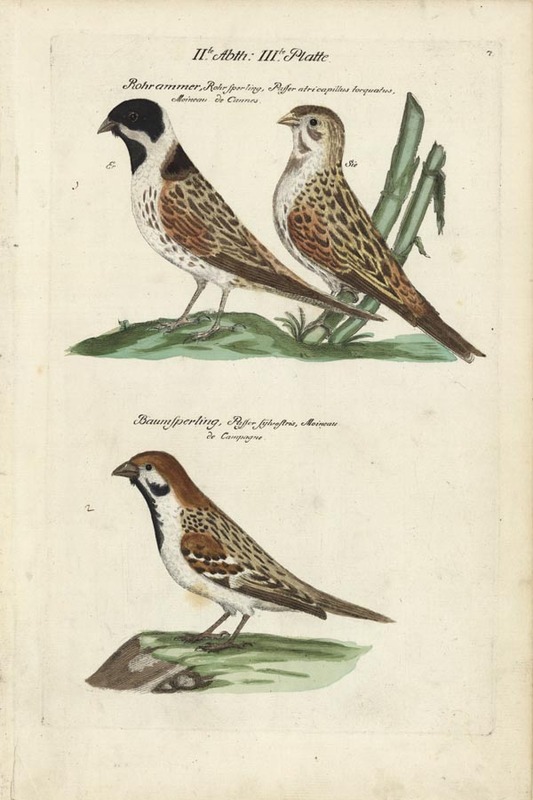 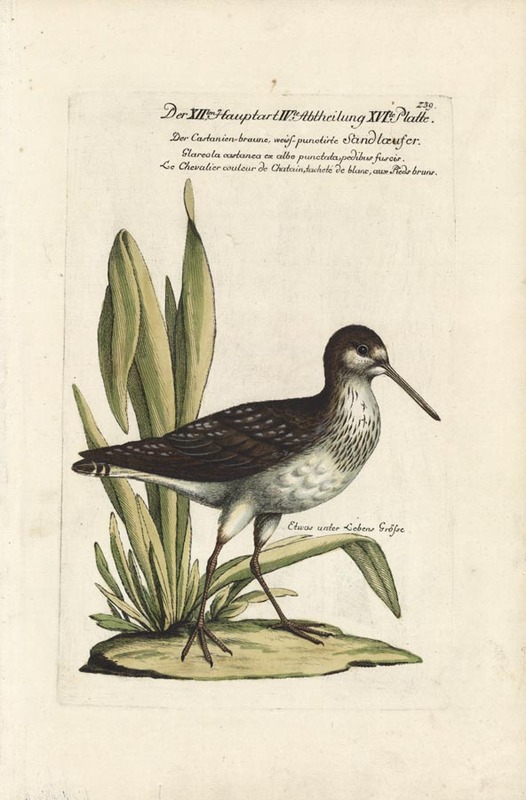 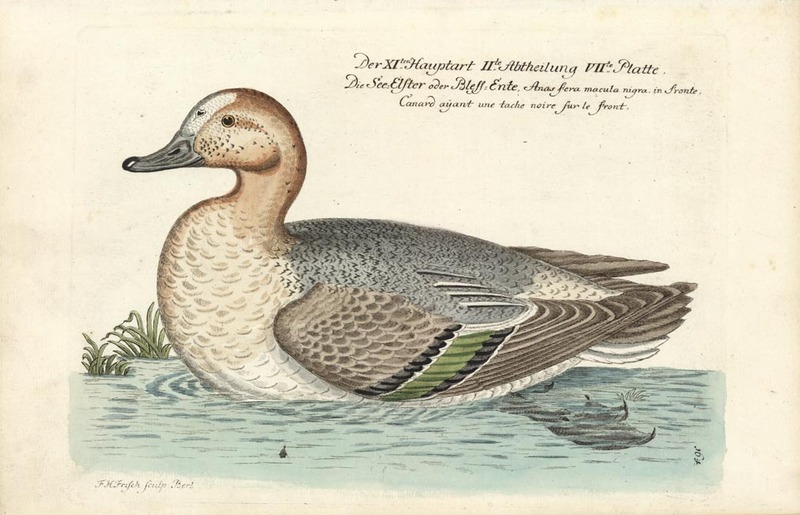 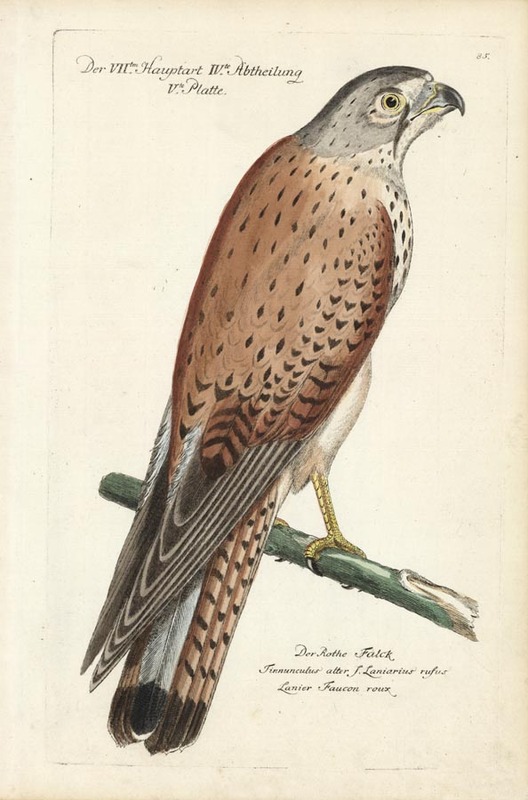 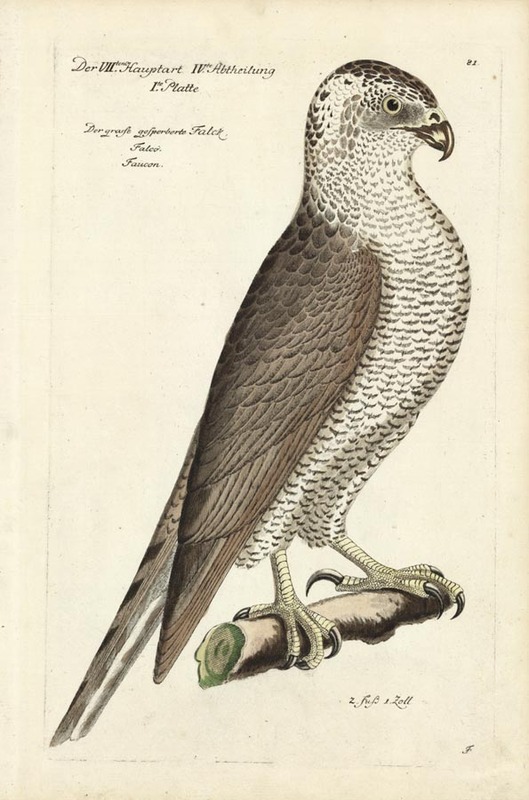 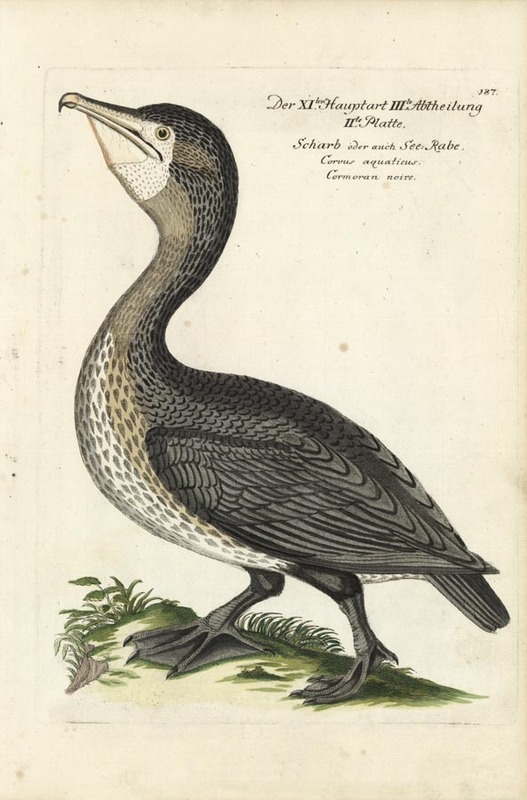 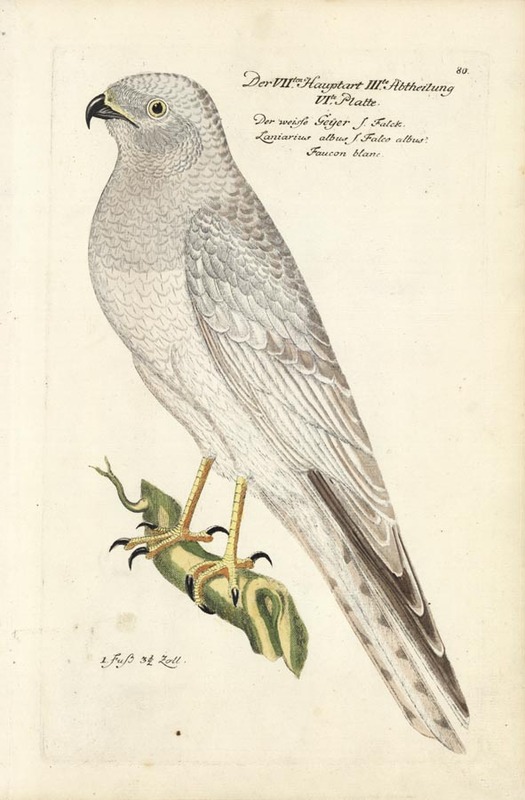 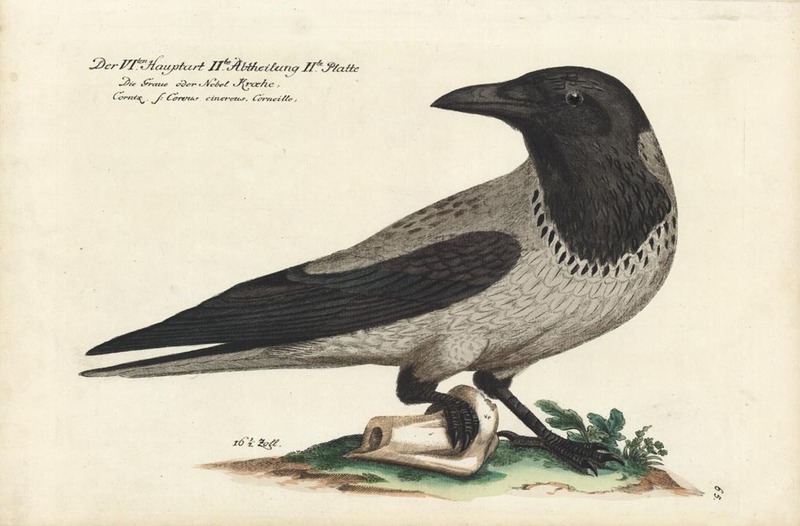 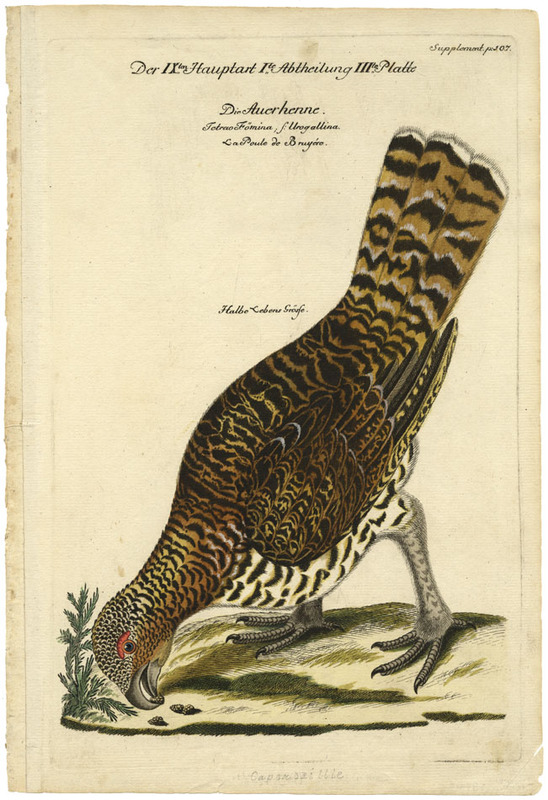 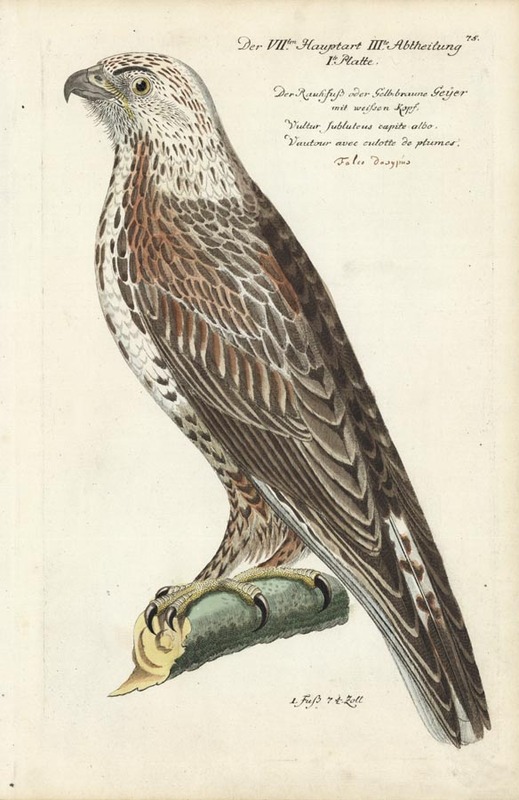 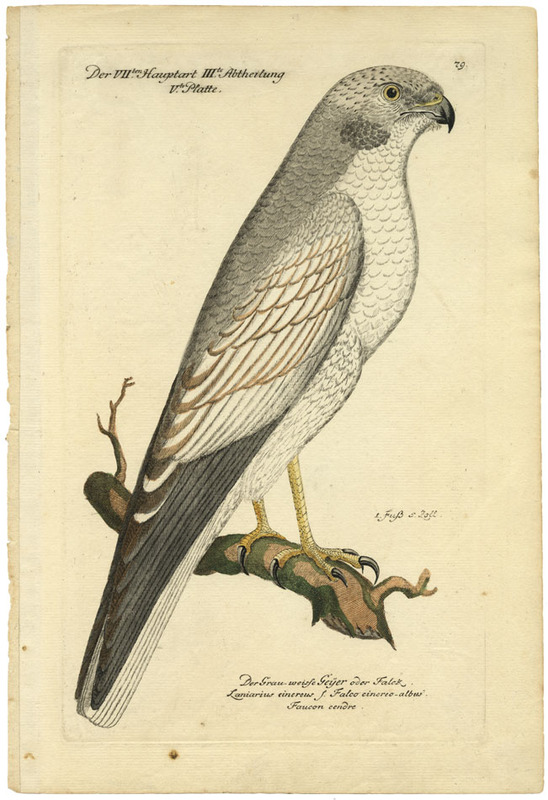 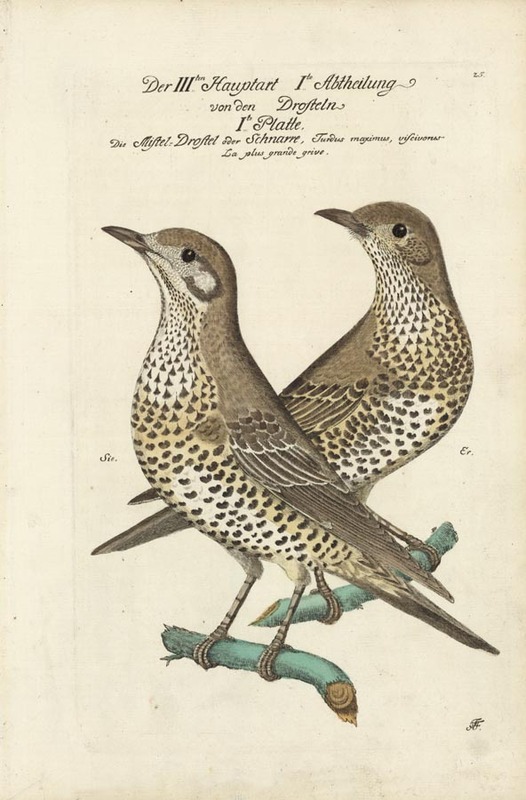 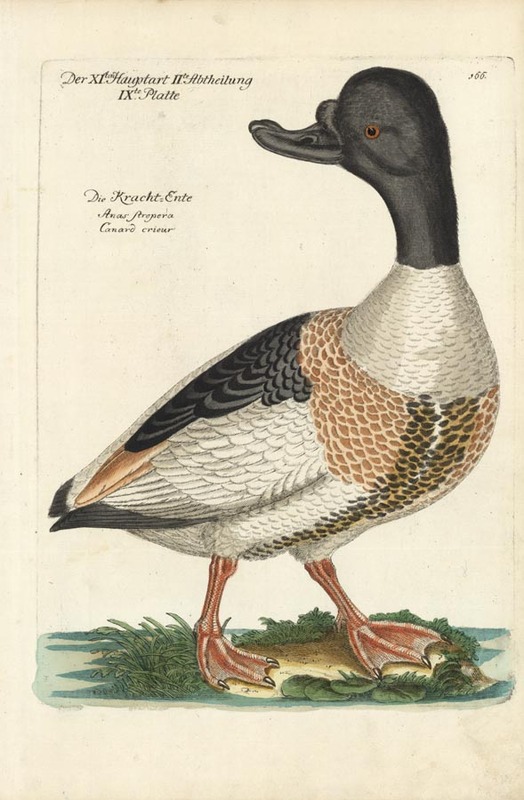 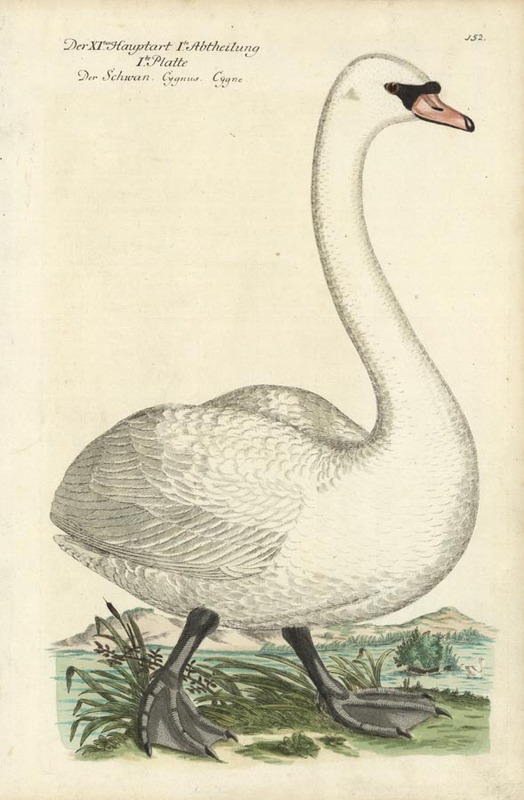 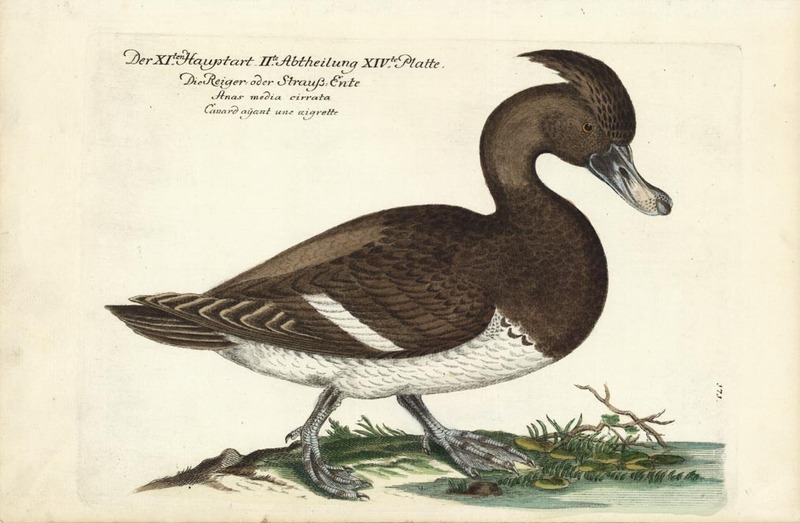 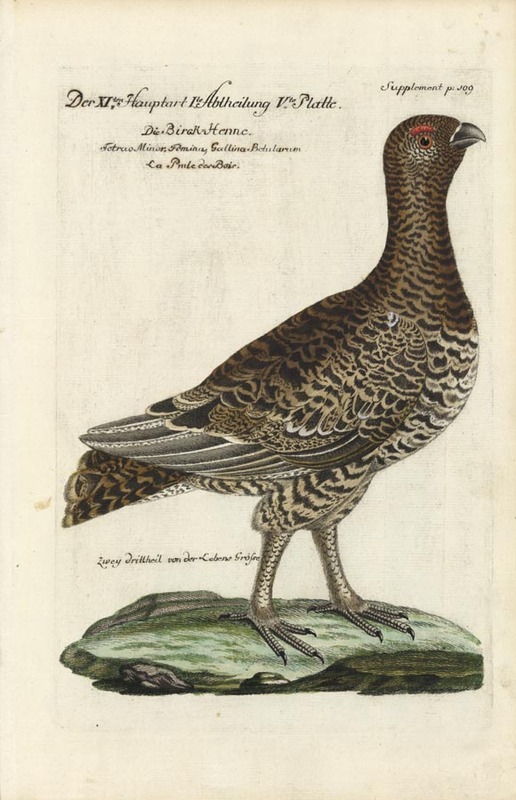 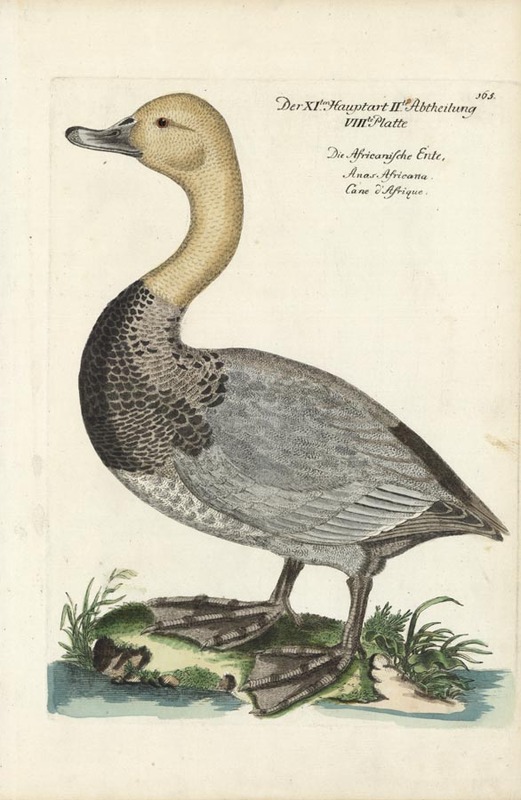 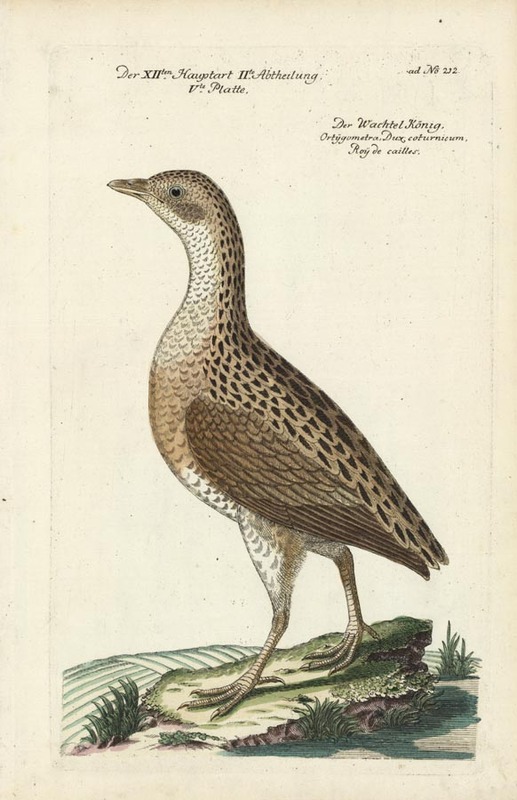 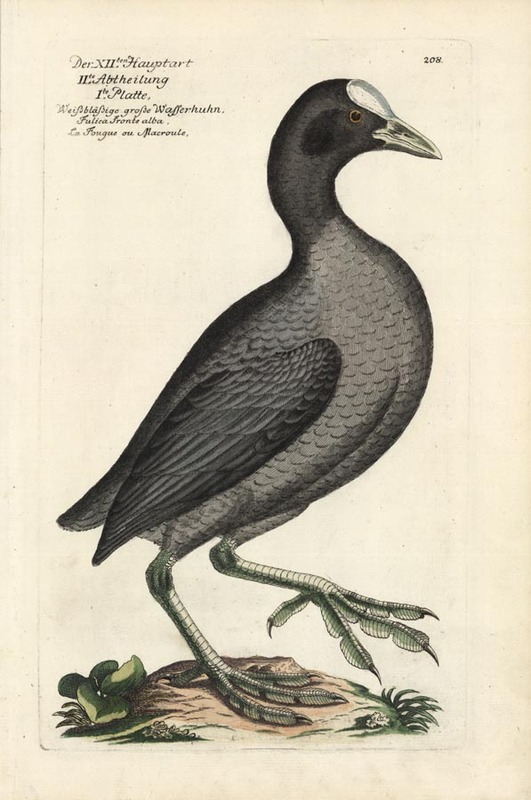 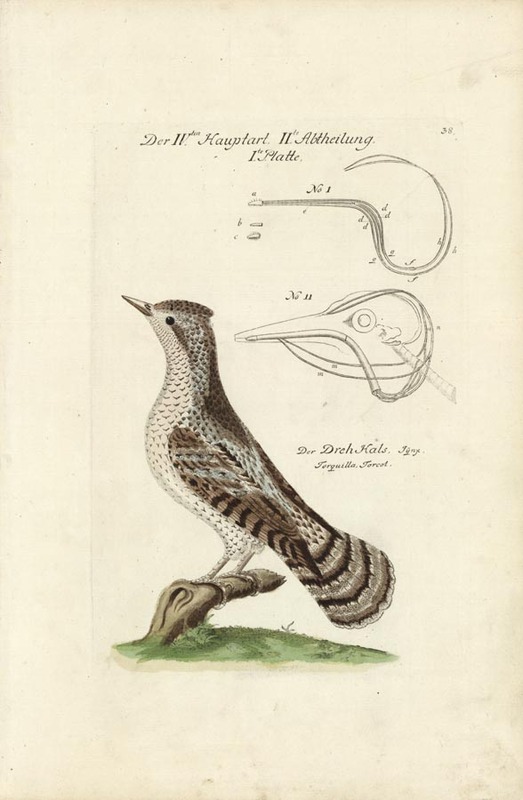 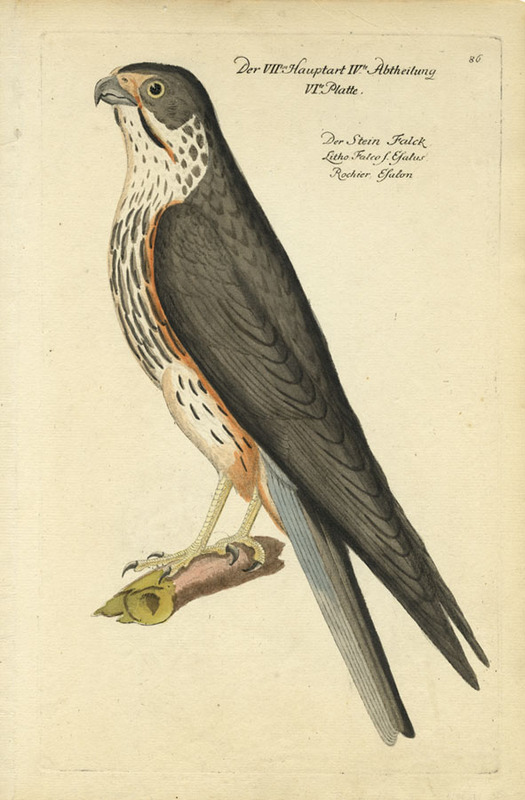 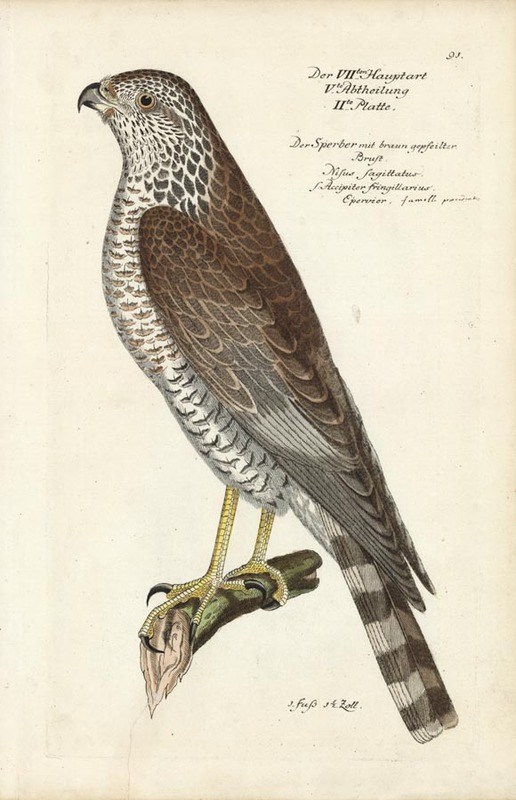 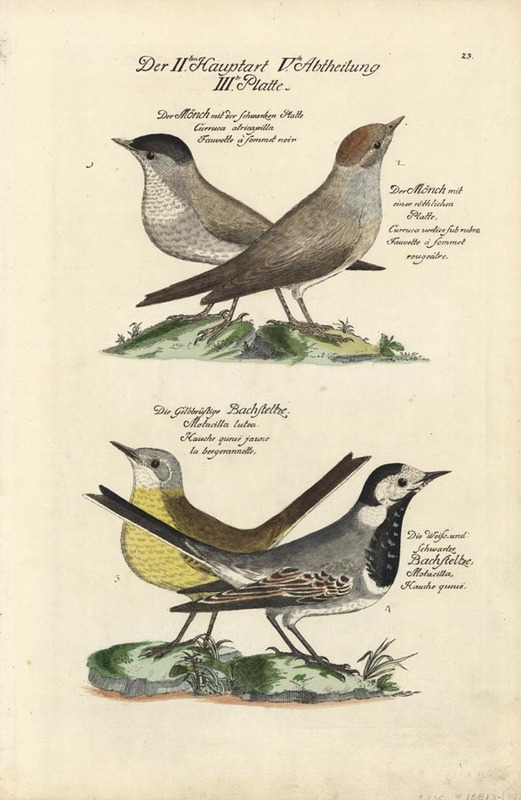 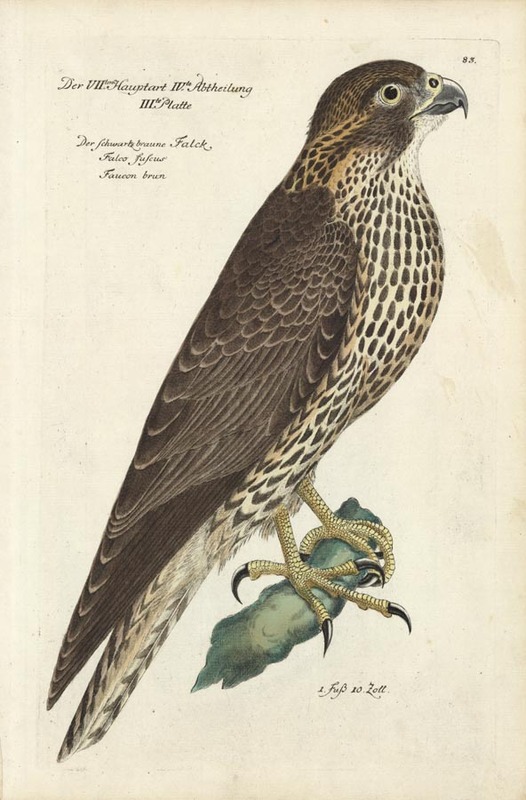 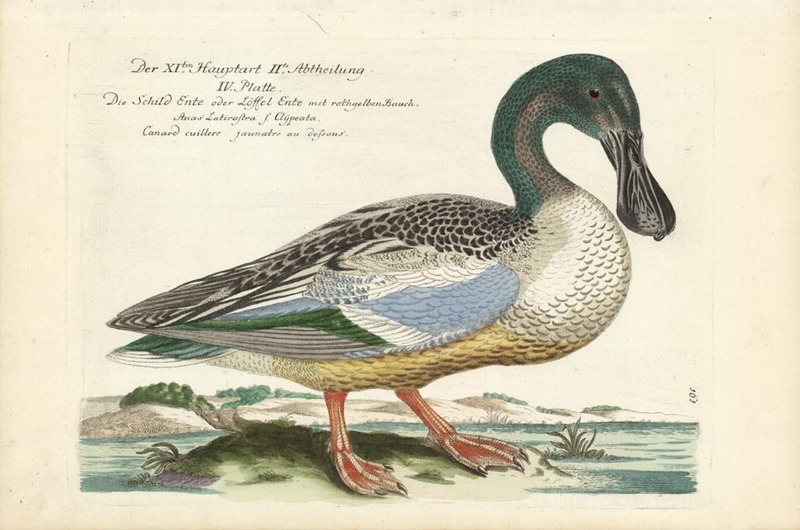 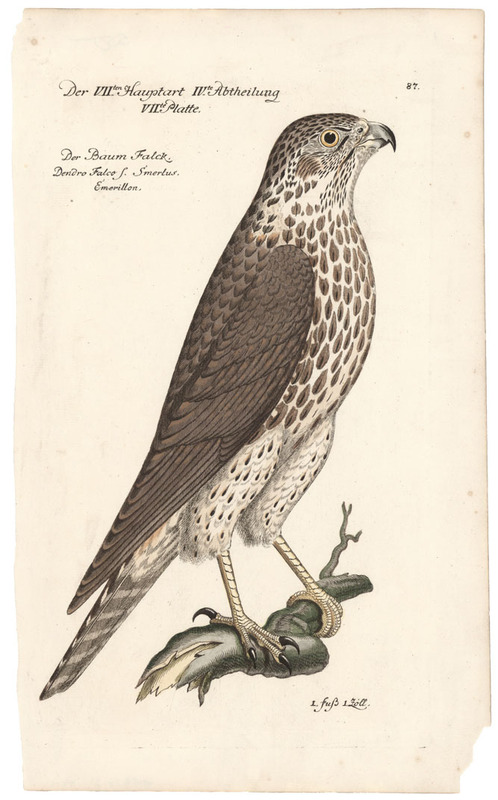 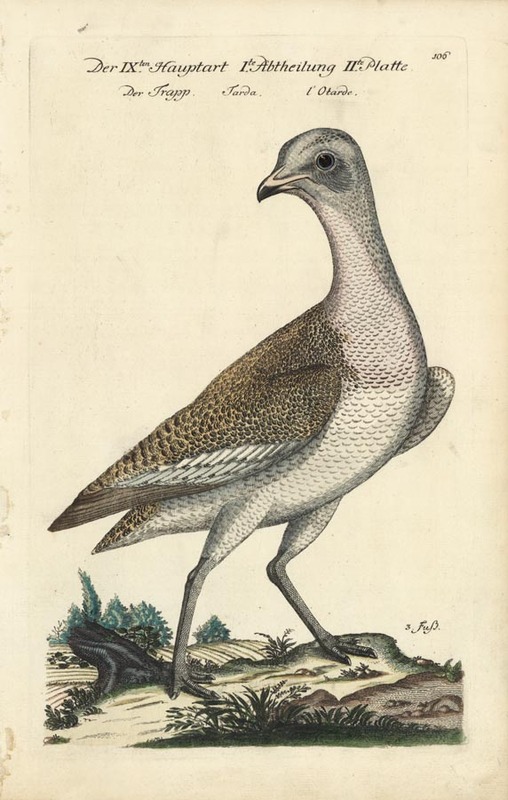 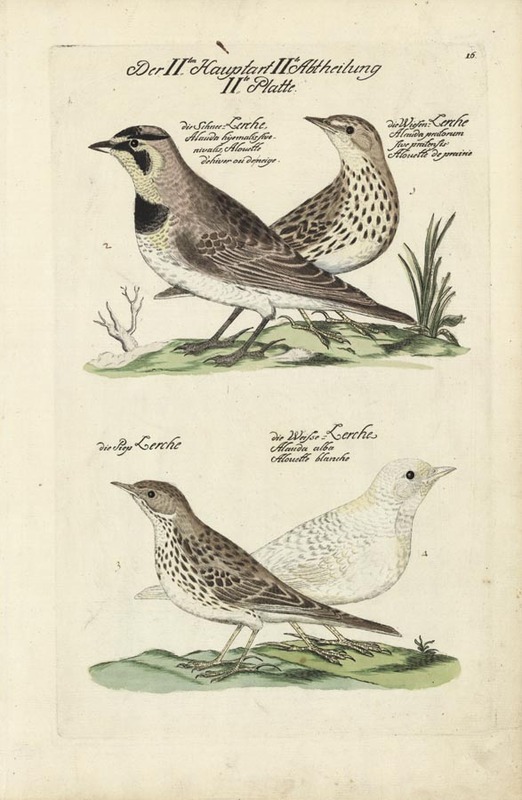 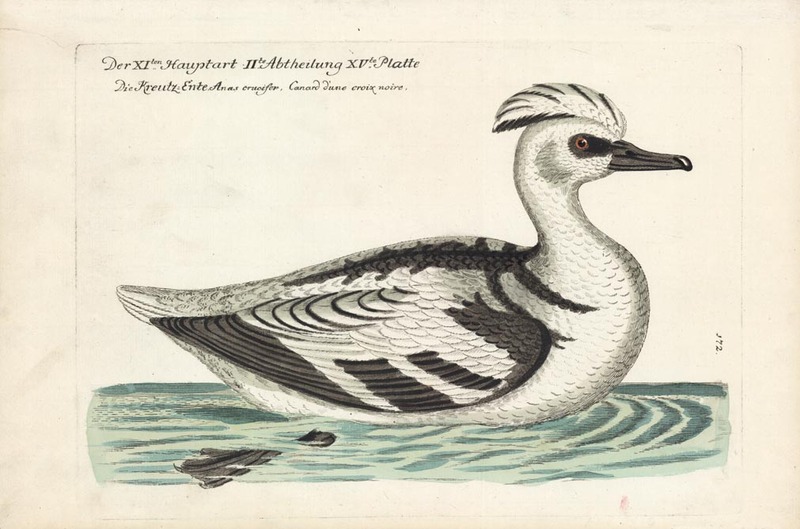 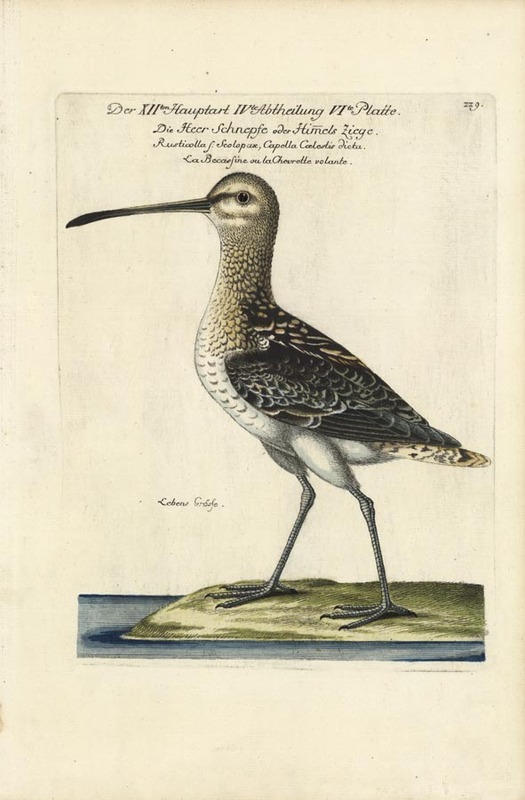 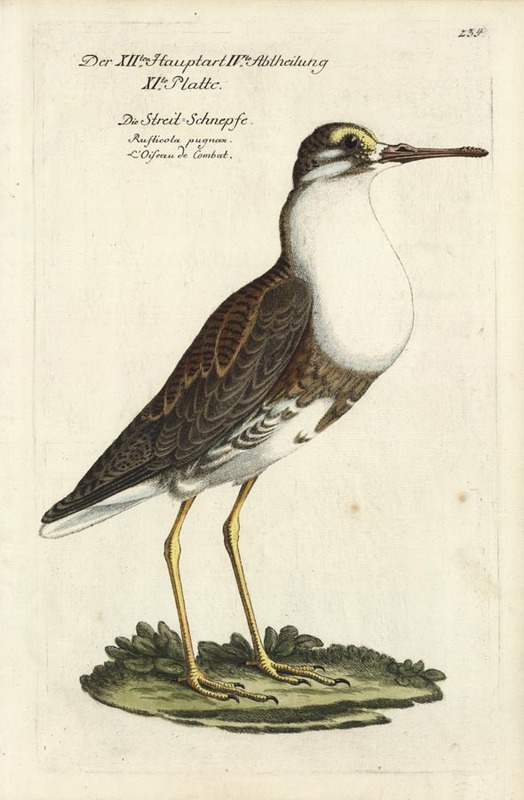 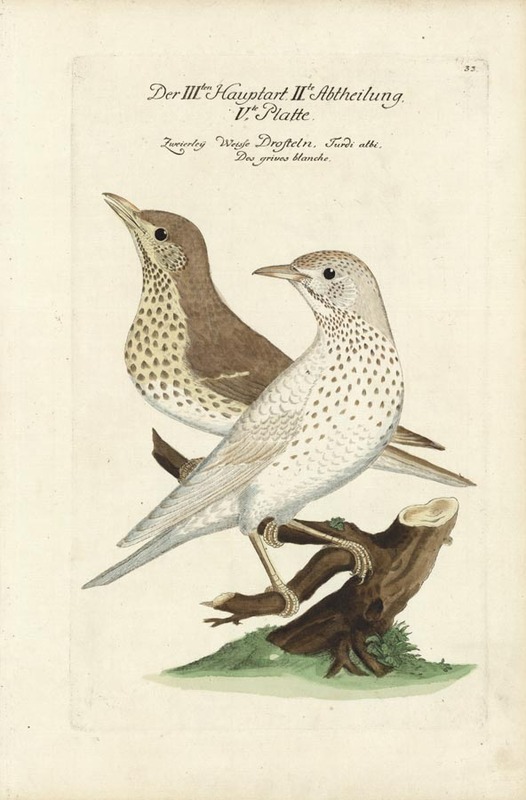 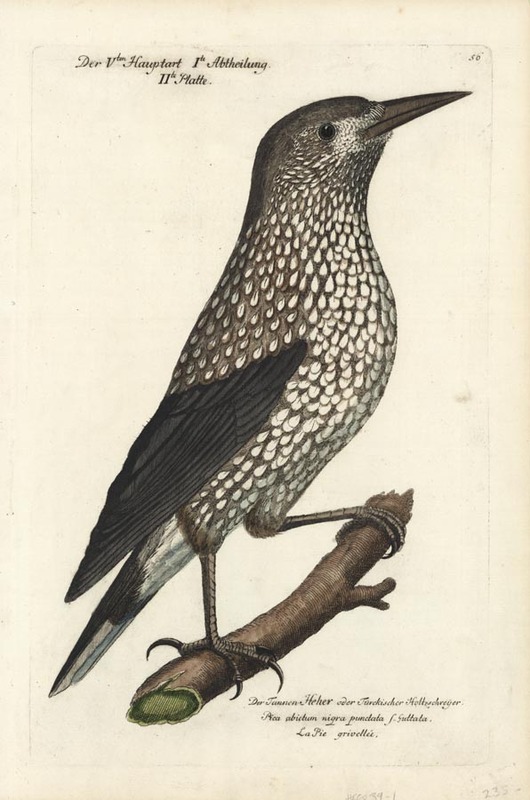 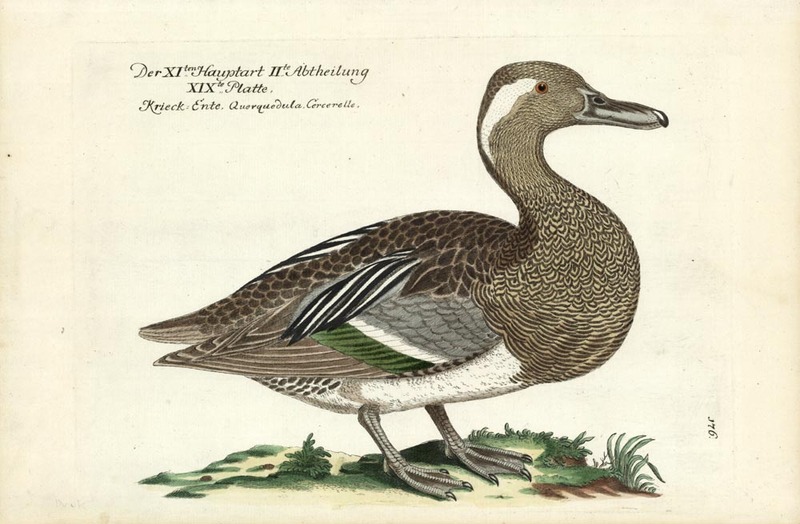 The publication of this ornithological book started in 1733 and completed in 1763. 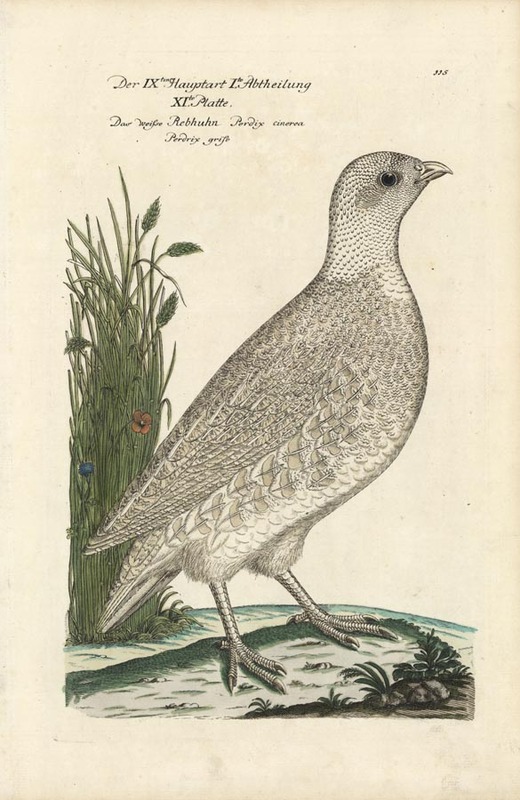 It was issued in 14 parts with an additional supplement. 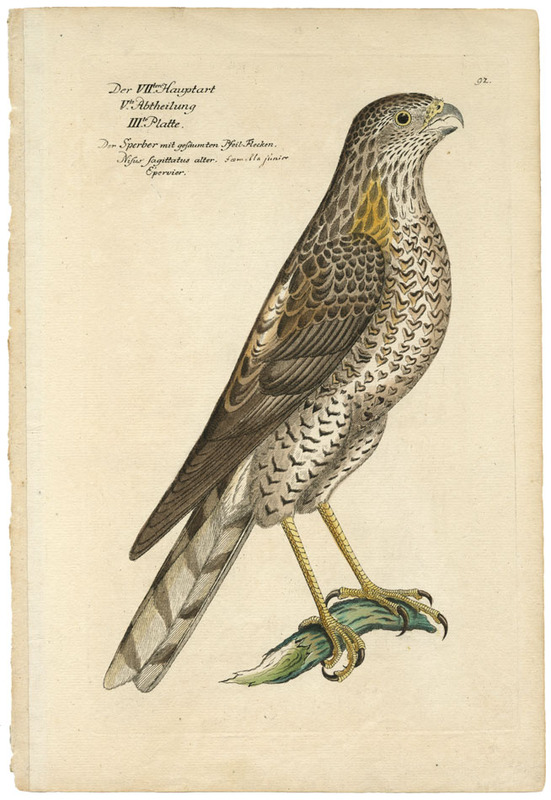 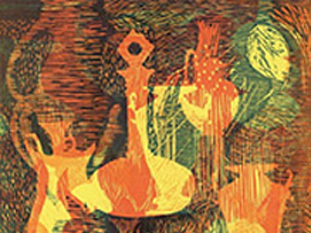 The engravings were made by his sons Ferdinand Helfreich Frisch, & Philipp Jacob Frisch. 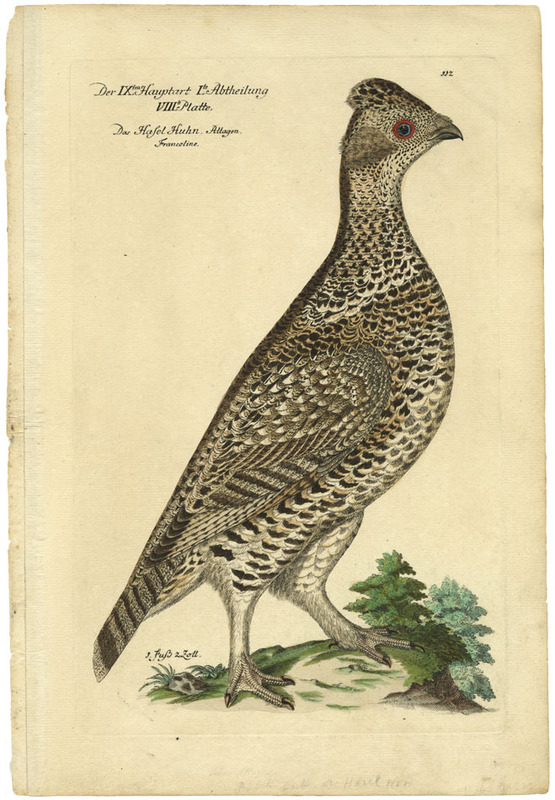 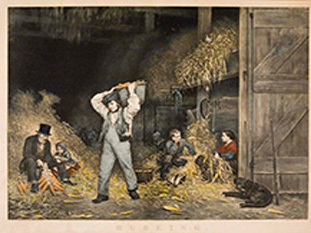 There are 255 hand colored engravings. 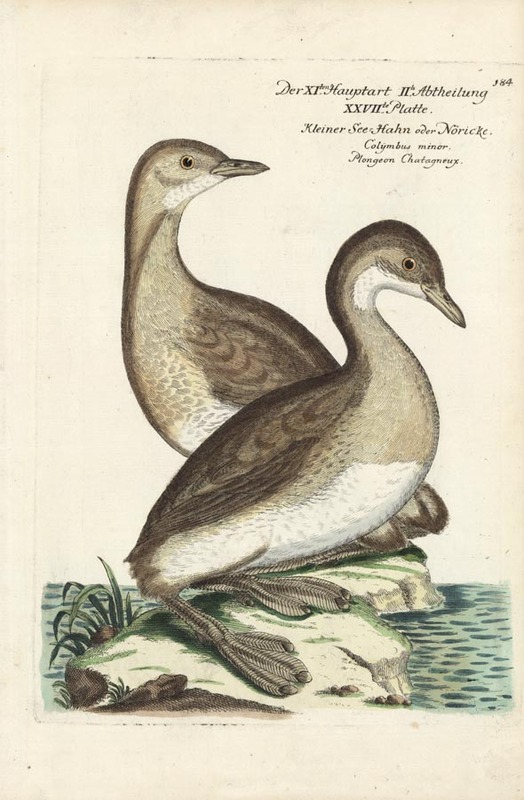 Anker #154 & 155. 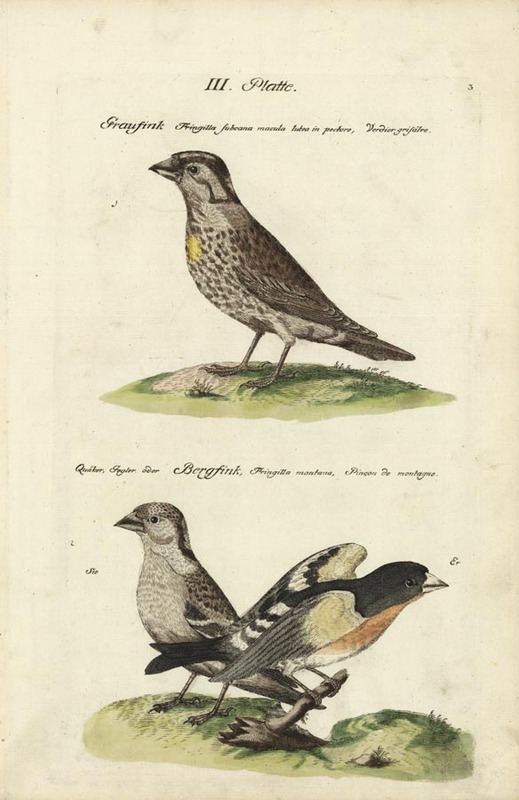 "One of the most enjoyable of all bird books but rare" - Sitwell p.97.